As the iconic painter Bob Ross said, "We don't make mistakes, we just have happy accidents." That is exactly how I would describe how I discovered a way to insert a YouTube video into a Google Doc, a happy accident. Now I doubt if I am the only Google Apps user that knows about this, but after searching through many Google & YouTube search results, I haven't come across anything that describes or shows these steps of inserting a YouTube video into a Google Doc. So maybe I am? And just to clarify...I'm not talking about the insert a screenshot image of the video & then add a hyperlink to the image trick. To insert a video into Docs you'll need to use Google Slides, insert a Drawing into your Google Doc. 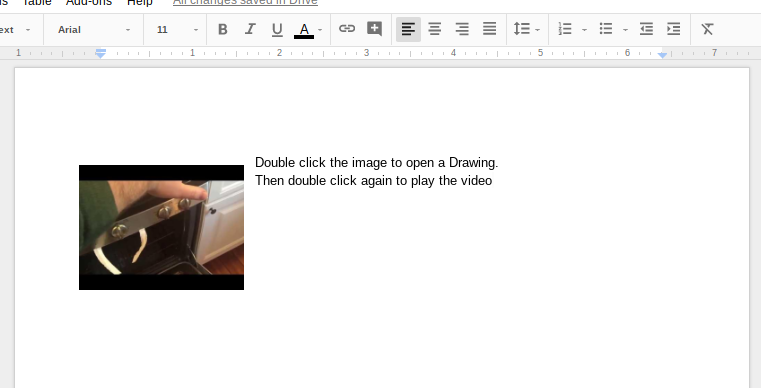 Then after a few extra copy and paste functions and double clicks, you'll have yourself a YouTube video embedded into a Google Doc. I made a screencast video and embedded it below to show you the steps to take if you want to insert a YouTube video into a Google Doc. So there you go. 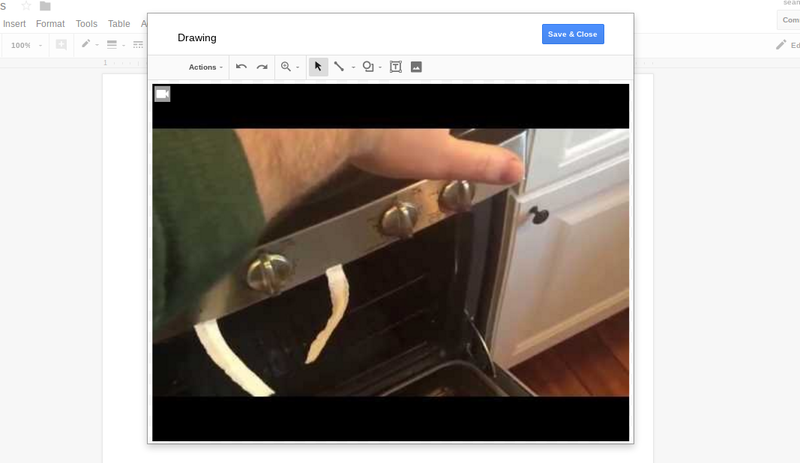 I know its not perfect or as seamless as inserting a YouTube video into Google Slides, but if you are wanting or needing a video in a Google Docs this is probably the closest and best you'll get until the Google people decided to code in that function. I did run into a little snag when it came to sharing the document with others. As far as I can tell, recipients need to have edit access to the document in order to double click the Drawing. So to avoid a potential mess you could either share the Doc as view only and File --> Make a Copy, share a copy with each student in Classroom, or use the force Make a Copy hack. I will echo his suggestions and if you are using this workaround as a teacher the obvious choice is to use Google Classroom and select "make a copy for each student". Christopher even provided a link to these instructions of how to execute the force Make a Copy hack. Its a great trick to know and can be used with all Google Apps. I use it all the time! Thanks again Christopher! I was able to get it to work on our Chromebooks, but it stopped. Says it won't play Error 5. I'm not able to find out what error 5 is. We do have you tube blocked, but it worked several times and then when I came back from lunch it would not work any more. Ideas, suggestions? Genius!!!!! My hyperdocs thank you! Thanks Mr. Fahey! You can also use this docs add-on to create a video playlist that embeds and plays YouTube videos in a doc. It works great for assignments!